When weighing whether or not to create a blog, my initial concern was two-fold: time constraints and compelling contribution constraints. Do I have sufficient strong opinions to spend a half hour here and there writing them down? Ultimately, I decided to go ahead and start one, if only to jot down some afterthoughts about things I’ve witnessed and to preview the upcoming week. My current life is taken up by three things: family, work and baseball. For personal reasons, I’d rather not write about my family in a public forum, and I doubt anyone would want to read about me filling out TPS reports 5 days a week. (Side-note, this is not what I actually do for a living, though I am an uber-Office Space aficionado) Thankfully, baseball season started 12 games ago and provides me with endless fodder for speculation. The baseball offseason is a strange and confusing time. In three months, it is possible to completely miss the game so much that you don’t know what to do with your time, yet it is also possible to forget why you get a little bit more excited during late February and early April. Then, all of a sudden, the offseason stories start increasing, predictions begin, fantasy league invitations flood my inbox, and that crumpled up old jersey gets thrown in with the laundry to make sure it’s ready for Opening Day-and you quietly hope it still fits after a winter of hibernation and watching college basketball on the couch. 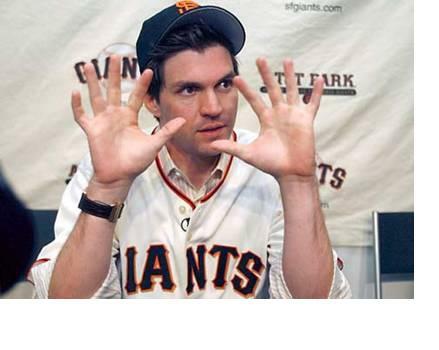 I, for one, am pleasantly shocked that the Nationals are 6-6. Weren’t we supposed to lose the first 40? We lost 100 games last year and the year before, and we were predicted dead last in 99% of preseason polls. Most experts asked not if we would come in last place, but by how many games. We all cringed when the Nat’s schedule was released–the rough 40 game opening schedule, with two of the first three series were against the defending NL Champions (Phillies). We couldn’t escape the lingering questions about our young and inexperienced starting lineup or whether our offseason moves were good enough to push us past a last place destiny. 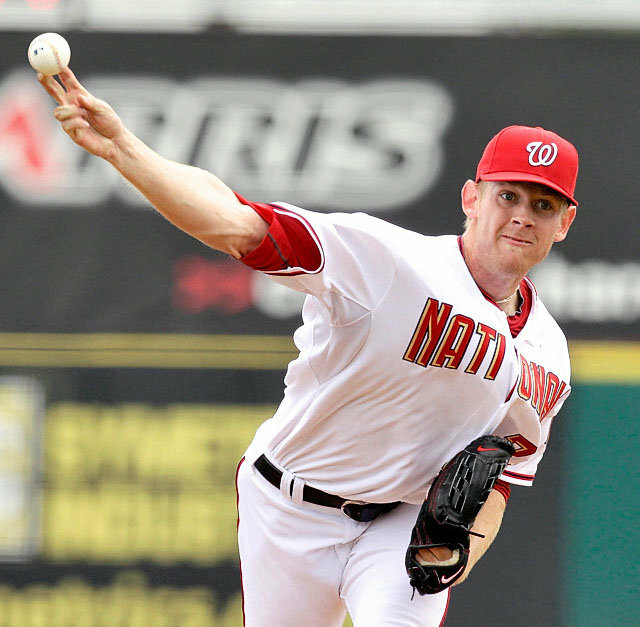 The offseason did provide loads of hope with the signings of Strasburg, Storen, Pudge Rodriguez, Jason Marquis, Matt Capps, Brian Bruney and others. And today, 12 games into the 2010 season–despite our best efforts–we are teetering at .500 for the first time since 2008. This is due, in large part, to Livan Hernandez’ two stellar outings, Pudge Rodriguez’ NL leading batting average, and a reasonably successful bullpen showing. 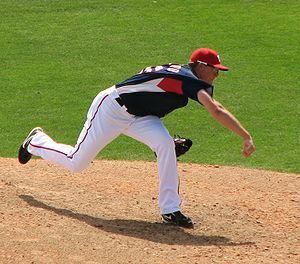 Credit is also due to Matt Capps, who is 5-5 in save opportunities after a terrible spring training. Ian Desmond is showing signs of that spark we all hoped he had. Zimmerman is dependable and as exciting as always. If we can win with the starting pitching we’ve seen so far, with Zimmerman missing a week of play due to injury, with Dunn hitting dismally and with a schedule that included 6 games against the Phillies, there is definitely room for hope this season. Not next season or 2012, but this season. Not to wallow in negativity, but DC’s attendance has been less than stellar. 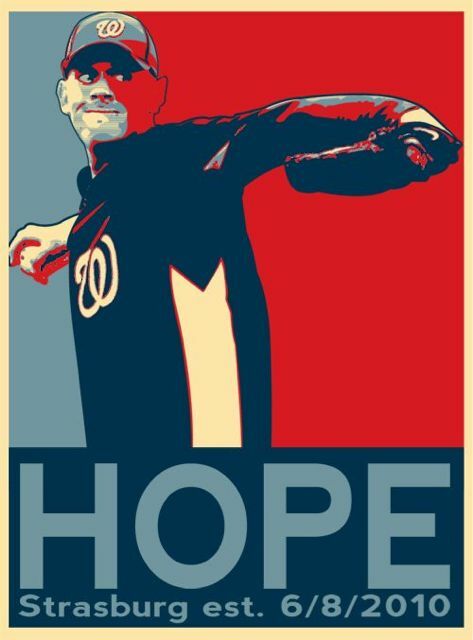 The term “fair-weather fans” is an understatement for the DC area baseball “fans.” DC loves winners…..and winners only. Just look at the exponential growth in attendance rates of the Capitals once their record began to improve and once Ovechkin started outscoring opposite teams single-handedly. Stereotypically, DC is a city of homegrown pessimists, ambivalent transplants and, let’s face it, Philadelphia Philly fans. I was embarrassed and actually angry when the photos of Livan Hernandez’ 4 hit shutout on a SUNDAY showed a two-thirds empty 3rd base side in the stands. To be fair, I was not there either. But when I lived closer to DC I was at just about every home game. I don’t get it. I don’t understand why people only go to see winning teams. I don’t understand how people don’t want to go root for this group of players. To me, this shows a lack of character, a lack of devotion, and a lack of what makes baseball the greatest game of all: heart. Even worse, Zimmerman, Dunn, Lannan and Riggleman have come to expect that DC won’t come out to watch until they start winning. These guys and this city deserves better from its fans. And from it’s baseball team, I admit. But for me as a fan, being there in the worst of times only makes the best of times that much sweeter. For the group of us who just love the fact that baseball has returned to DC, regardless of the record, the ability to say “I told you so” or “remember when we lost 100 games?” will be a great feeling. Sure, it will be nice to make the playoffs. It will be nice to win 90 games. It will be nice to see the league crown one of our starters the NL Cy Young Award Winner. But what would all of those successes mean without the struggle? If I continue posting semi-regularly, I suppose the topics will range from overall perceptions of the team, the fans, the management and the outlook for the season. I probably won’t be posting daily, since I am a creature of habit. If this habit forces a daily update, I will feel obligated to write something. Obligation leads to burnout and lack of motivation. So, I’m predicting about 1-2 posts per week. If anyone decides to read this, I welcome your comments. Also, I encourage you to become a fan of NatsWorld on Facebook. My brother and I run that page and this blog is an accompanying piece. Also, for live in-game chats, I always head over to MASN’s Ben Goessling’s Blog, The Goessling Game. See you there for in game analysis and behind the scenes discussion.